You want to visit Cambodia in 3 days, but you have no idea about which places to visit? 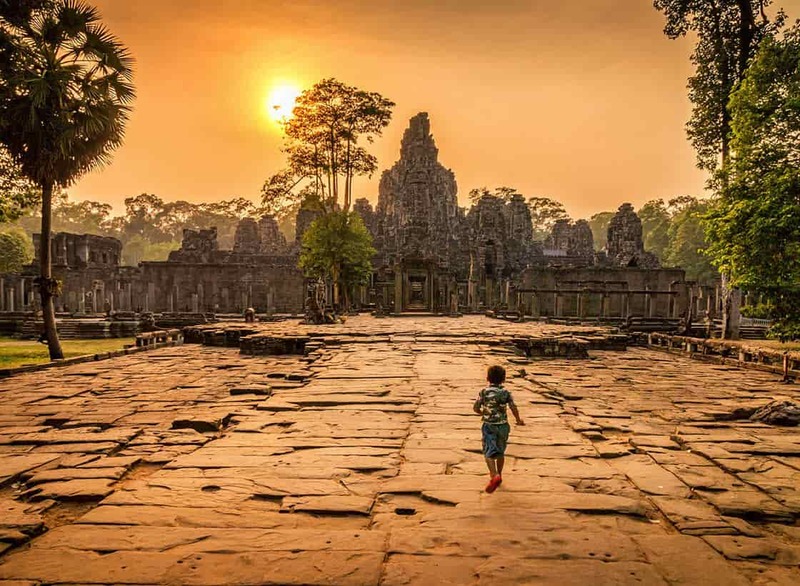 This article will give you the suggestions about 3 famous and traditional places that you cannot ignore when traveling to Cambodia. Angkor Wat and Angkor Thom are tourist attractions in Cambodia. These two sites are located in Siem Reap Province. Angkor Wat is the ancient Vietnamese temple of Deity, Angkor Thom is the Temple of the Holy. The Angkor Temple is called the Imperial Goddess. Angkor Wat has a circumference of about 6 km and an area of about 200 ha, the highest point is the top of the main temple, with a height of 65m. Designed with the entrance to the main west, Angkor Wat has a feeling of sacred for people entering the temple, because the image of the temple is prominent in the light of the sun. In addition to that feeling, Angkor Wat also impresses with the Apsara fairy statues on most of the walls or each flower or grass texture is carefully cared for each step of the wall. Angkor Thom was built by King Jayavarman VII at the end of the 12th century. The whole area is about 9 km². Angkor Thom is constructed in the Bayon style. In addition to the sense of timidity, the architecture of Angkor Thom also brings a feeling of lightness and comfort as Angkor Wat. Great Lake Tonle Sap in Cambodia is the largest lake in Southeast Asia and has a great influence on the country. Some travel companies often do not rank Lake on the list of destinations. But if you go to Cambodia without visiting the lake, you almost lost a third of the meaning of the trip. Among the favorite destinations in Cambodia you can not fail to mention the Silver Pagoda and the Cambodian royal palace. They seem apart from each other, but in fact the Golden Temple Silver Pagoda is located within the Royal Palace of Cambodia, in the city of Phnom Penh. The Royal Palace of Cambodia was built more than a century ago to serve the royal families and foreign guests. It is also a venue for ceremonies, diplomatic ceremonies and royal ceremonies. Silver Pagoda appears right in front of your eyes as you step out of the Palace and turn to the right. Many people mistakenly think that the temple is a golden temple or two pagodas like that, actually only one. At the Silver Pagoda, you will be placed barefoot on silver pieces weighing more than 1kg lined as a brick or contemplate a series of giant statues made of pearls, charmed with precious stones. We hope that this article provides you with brief information about beautiful country next to us – Cambodia. It is an honor for Asia Senses to be your companion in your journey. Perhaps we do not have experts like other travel company but we have specialists with high spirit in working, who are always willing to listen to your preferences and design the best trip for you!